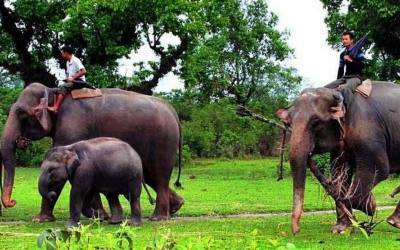 Koshi Tappu Wildlife Reserve which stand today as successful testimony of nature conservation in South Asia. This is the first National Park of Nepal established in 1973 to preserve a unique eco system significantly valuable to the whole world. The Park covering the protected area of 932 Sq. Km. is situated in the subtropical inner Terai lowlands of southern central part of Nepal. The Park gained much wider recognition in the world when UNESCO included this area on the list of World Heritage Site in 1984. It should also be emphasized that only a very small part of the national park is used for tourism. Koshi Tappu Wildlife Reserve is one of the finest birding sites in Asia. It was established as a wildlife reserve in 1976 with an aim to protect the last remaining population of Asiatic Wild Buffaloes in Nepal. The reserve has a total area of 175 sq. km. The principal habitats in the reserve include: wetlands, grasslands and small patches of riverine forest. 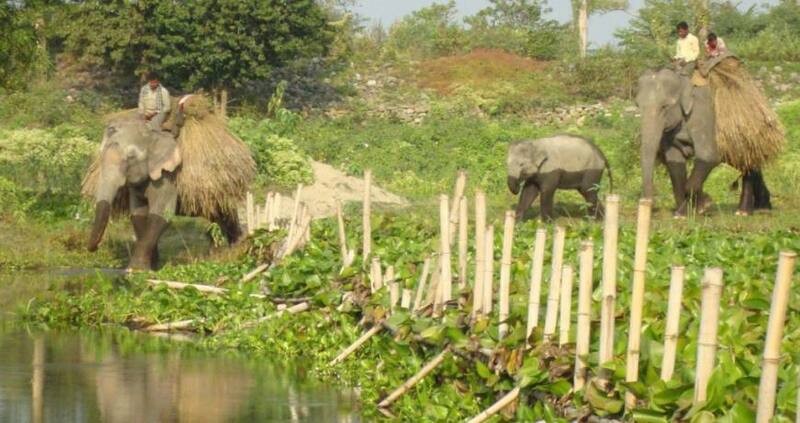 To date this is the only Ramsar Site (a wetland of international significance) in Nepal. More than half of Nepal’s birds are recorded from Koshi Tappu! Among the mammals, besides Wild Water Buffaloes, the elusive Gangetic Dolphin and Fishing Cat are occasionally seen here. Many small marshlands, pools and grasslands are formed which provide a haven for birds and birdwatchers alike. The vegetation near these banks holds many passerines. In addition, large agricultural fields that lie adjacent to the reserve make fine habitat for many birds. The finest birding sites in and outside the reserves are located between Koshi Camp and down south all the way to the barrage. Within this stretch many birds and mammals are found that offer the experience of a lifetime. At Koshi Camp you will meet our knowledgeable, helpful and enthusiastic naturalists who will give you company throughout your stay at the camp. Your tour will be guided by these friendly lads whose knowledge about the birdlife of the area is extravagant. We operate nature walks, boat rides, bicycle trips, and safaris in 4-wheel drives. For guests staying for longer periods we explore the nearby Sal forests north of the reserve at Patnali and Dharan. For those who would like to combine their holidays with a short raft journey, trek or wildlife tour of the eastern Himalayas, we offer our help and guidance. There is no big fuss about what to bring with you. The main thing is not to forget a pair of binoculars ! You may bring a day-pack, water bottle, hiking boots, sun cream, sun hat and glasses, medical supplies (although we keep a general medical kit box at camp, you may wish to bring some medicines specific to you), reading books, flashlight and batteries, camera film and batteries, pocket knife, insect repellent and natural coloured clothes. From October onwards till May are the months that most people visit Nepal. This is a good period also to watch the many winter migrants that abound at Koshi Tappu. Between May till the end of September, during the onset of the monsoon things are wetter because of rain. However, for special cases we may be able to run during the wetter months also. Please notify us in advance. 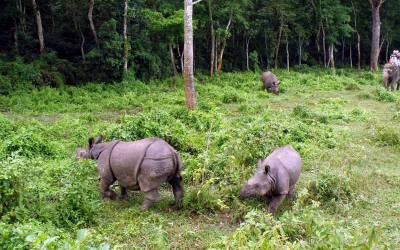 To see Koshi at its best, we recommended a minimum of 3 nightss and 4 days stay at our camp. This should give you a quick tour of major sites in the area.